Holding the string too long or short, here are the exercises for you! | The Kyudo Project Blog! Holding the string too long or short, here are the exercises for you! 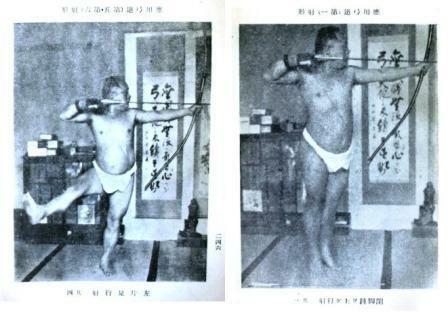 From an old book called "Kyudo Showa" a Japanese kyudo blog has scanned pictures for release problems from the book. Solutions for people who hold kai too short or too long. This is an interesting book for its time as it is using modern technology (photography) to illustrate anatomy and kyudo!